The flying car that we’ve all been waiting on is just around the corner. During a recent speaking engagement at SXSW, AeroMobil CEO Juraj Vaculik said he aims to launch his prototype flying automobile by 2017. Having grown up under an oppressive political regime in Czechoslovakia that underwent a revolution, Vaculik said we now need a revolution in personal transportation. Self-driving cars are a step in the right direction but they’re only a partial solution, he said. The true answer is a flying car. 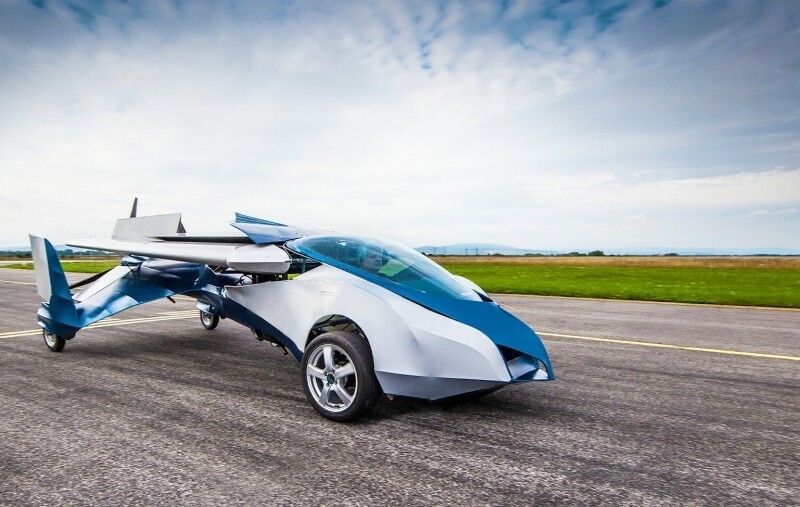 His current prototype, AeroMobil 3.0, is capable of taking off and landing on grass runways. Such setups could be installed near freeways and gas stations, he envisions, but making that a reality could be a difficult task. For starters, the company would need to get local governments to agree to building flying car runways and navigate what’d no doubt be a bevy of regulations. Vaculik didn’t seem too concerned about the matter, however, noting that his vehicle will slot nicely into pre-existing categories for cars and planes. As The Verge notes, this would mean that you’d need a pilot’s license to be able to fly the thing. The two-seater model he plans to launch in 2017 will be marketed to wealthy supercar buyers. While not giving a firm price, Vaculik did say the AeroMobil would cost more than a couple hundred thousand euros. After that, the company wants to put out a fully autonomous model with room for four.